Are you a Java Developer? Java Expert? Eclipse is a lifeline tool for us. Any resource in the workspace is literally seconds away. Ditto to classes (and interfaces, and members, and so on). Why waste time and brain cycles to wade through countless lines in countless files? 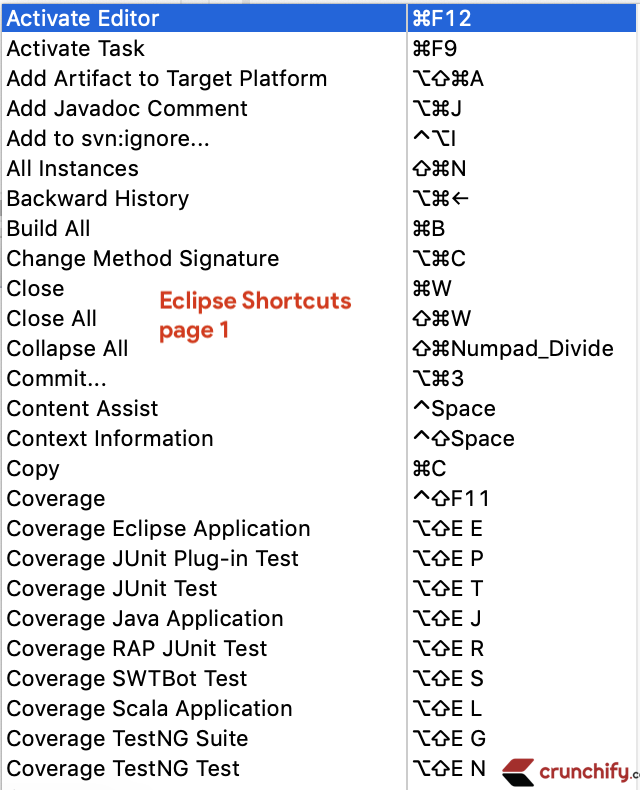 I thought that every Eclipse user knows this, in fact, if you’re reading this, most probably you already know this too. 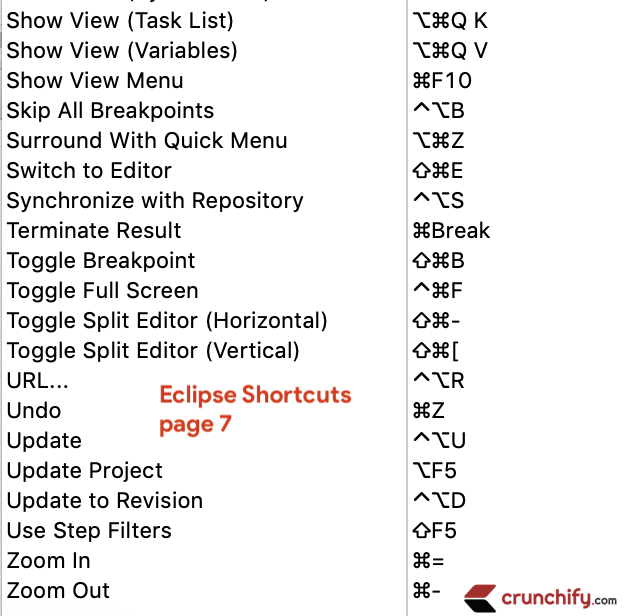 The list of shortcuts in Eclipse is fairly long yet readily available. 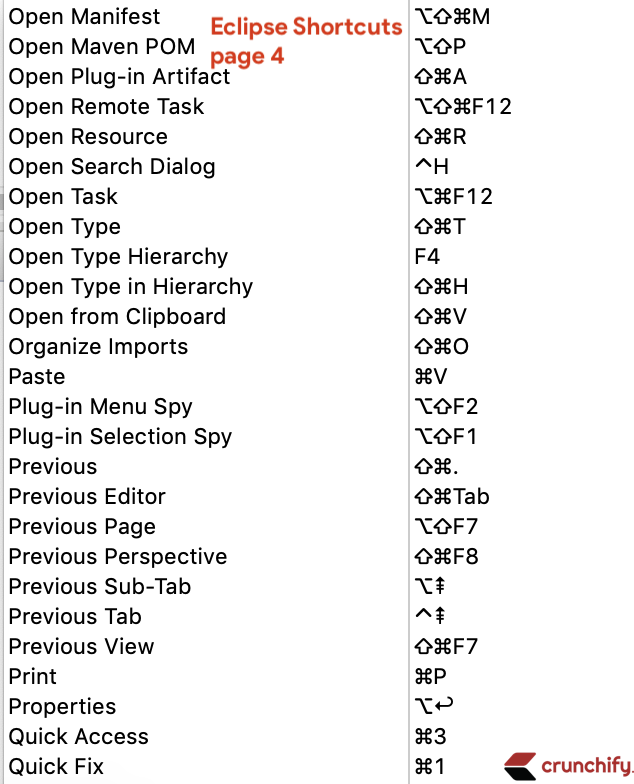 In fact starting with Eclipse 3.1 the full list of shortcuts can be displayed from anywhere via CMD+Shift+L if you are on Mac OS X OR Ctrl+Shift+L for windows. Nevertheless, call it information fatigue or simply a matter of style, deserving shortcuts frequently remain overlooked. 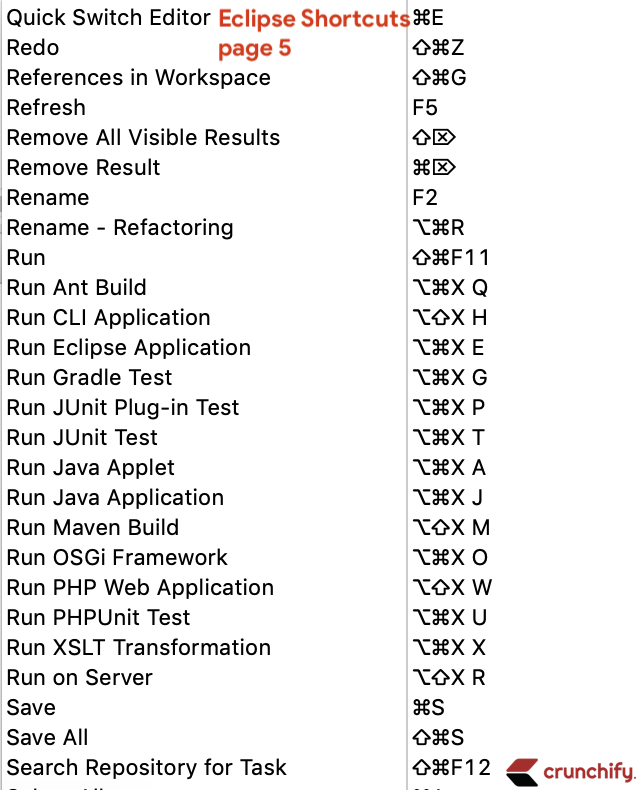 Below is a list of those shortcuts I find essential. What I mean by that is if you don’t use them then you probably need additional time to execute essential everyday tasks and are not very comfortable navigating around. 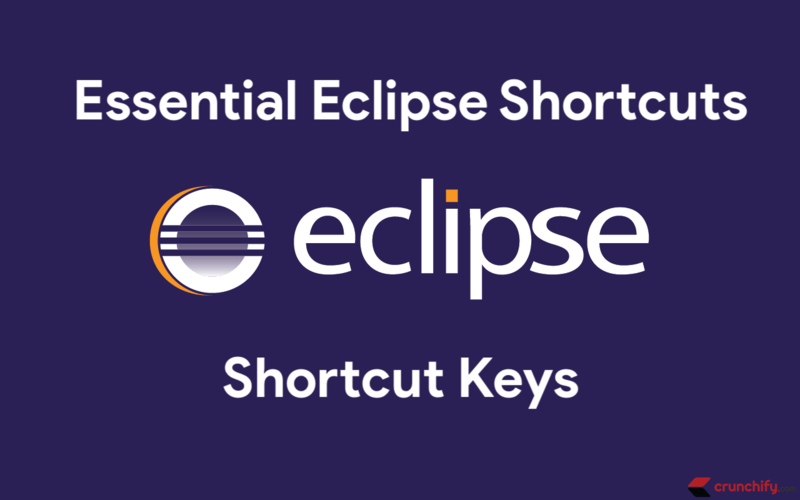 How can I modify default Eclipse Shortcuts? 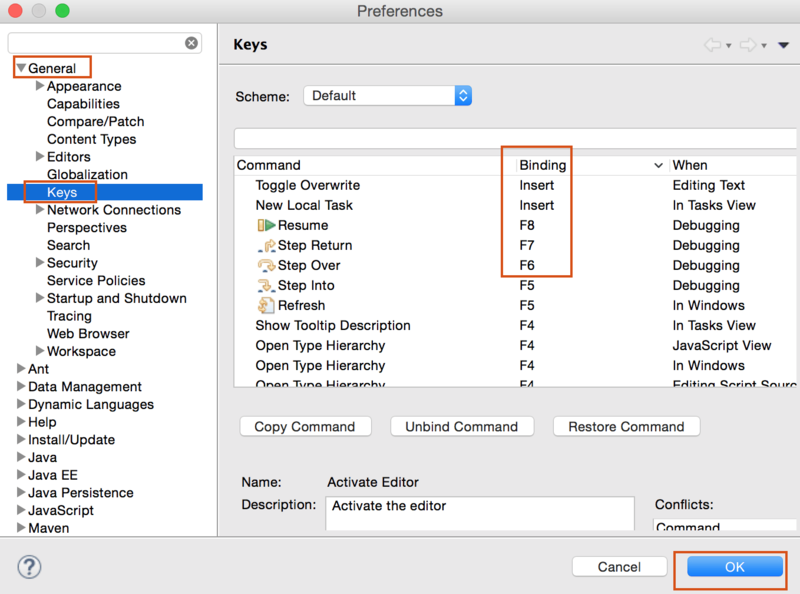 Also, you could go to General -> Keys to modify update Shortcuts. 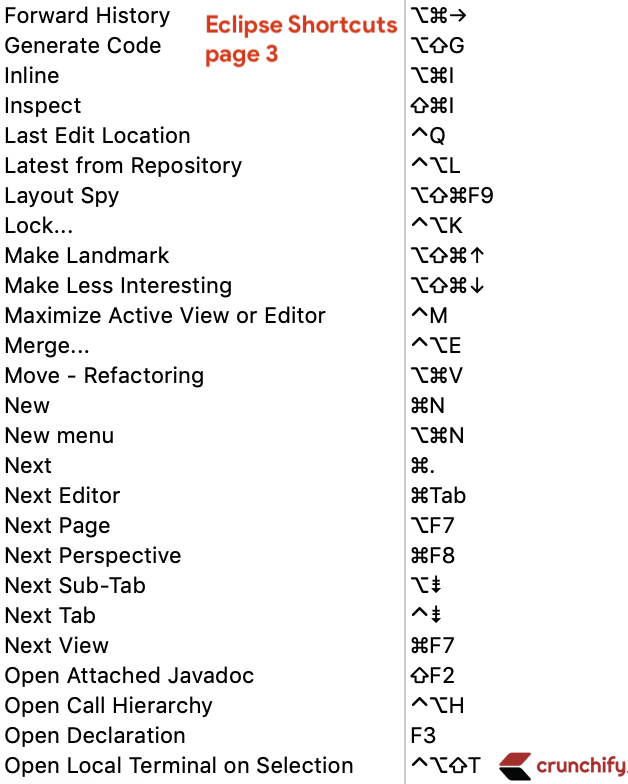 In addition to all above shortcuts, below are the essential shortcuts for all beginner Java Developers. 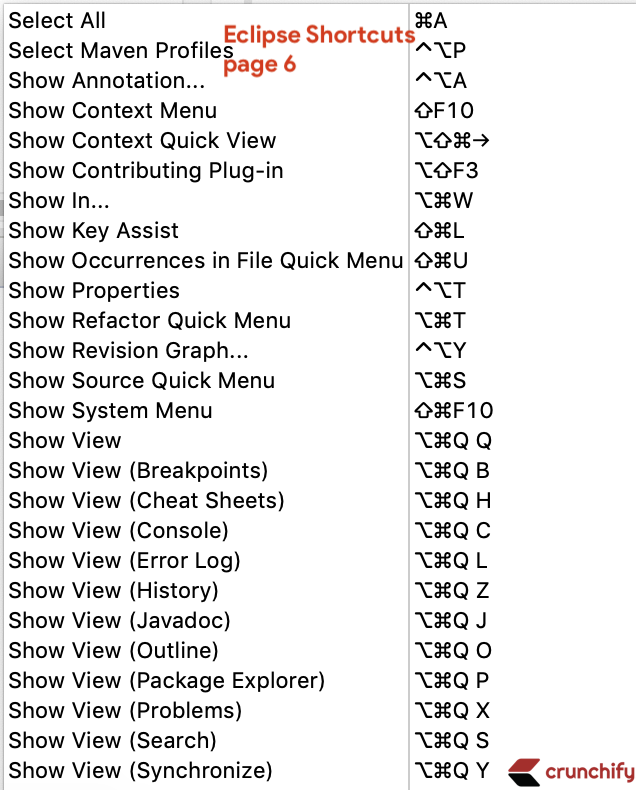 Eclipse has a LOT of shortcuts to make things real easy for you. 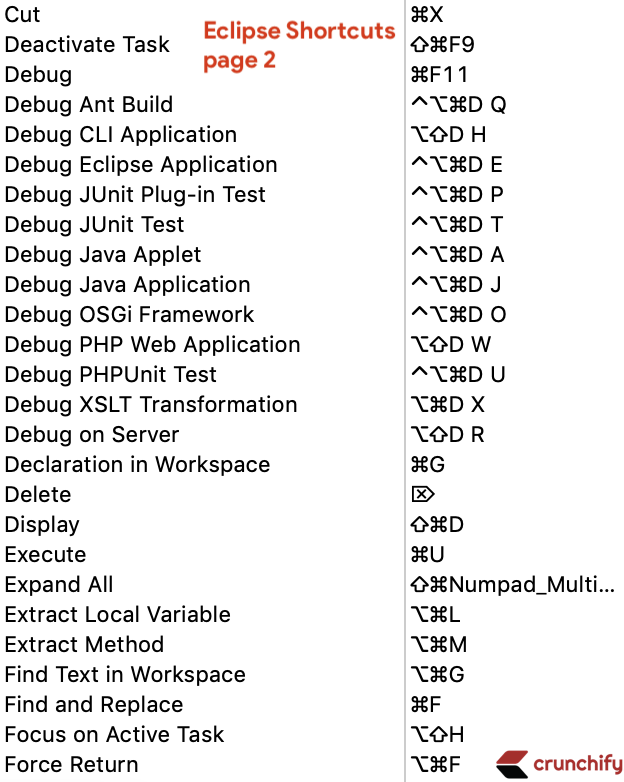 Java (or heck, any software) development is hard. We shouldn’t make it harder on ourselves by fighting our tools! Let our tools help us as much as possible.